​SHOUT OUT TO Mimi Smith FOR HER SELFLESSNESS AND IMPECCABLE TALENT IN PROVIDING FREE MANICURES TO ALL THE FEMALE YOUTH TODAY!!!! Ruth’s Way at the The Homewood Holiday Market today!!!! What a blessing….we were truly blessed to be able ro provide free manicures for the young ladies, tons and tons of toys, massive brand new childrens clothes, 2 bikes were raffled off, Christmas Coloring, and made candy gift boxes!!!!! Yes, Merry Christmas indeed!!!! I absolutely LOVE LOVE LOVE this gorgeous queen right here!!!!! 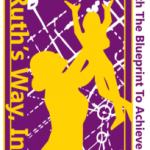 Thank you so much Gisele Barreto Fetterman for ALL of the TONS of goodies donated to Ruth’s Way today!!!! We are going to be able to SERIOUSLY grace some families for the holiday!!! !